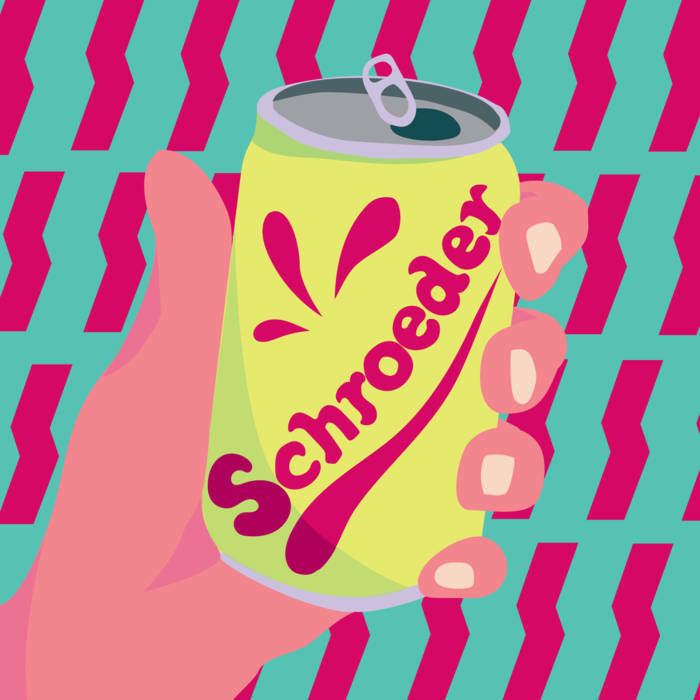 Schroder is a punk/pop punk/rock band from Baltimore, Maryland. This is fun music. I love albums like this, great riffs, great composition, great vocals and short songs. With the longest song coming in at 2:39, this is not a very long album. I’ve always felt like if you have something to say in a song, say it. Once the idea is expressed, and the message gets out, don’t carry on longer than you feel is right. Don’t set limitations on yourself, and don’t ever try to write inside a box of how someone else might say you should try to write differently. Just be honest, trust that what you’re writing is being expressed well, and your ideas will be heard. Schroeder is a band that knows what it’s saying, and expresses it perfectly. The choruses on this song are great, with lots of old school punk rock chanting leading into fantastic soloing. Nekron Forever is an example of this. There’s a lot going on on this album. Not entirely punk, not entirely anything. This is a collection of good songs written by a good band. Sometimes I feel so exhausted by genres. Picking and choosing what is good and bad by how much it relates to one thing or another. Good music is just that, and good music crossing all genres. Schroeder is such a talented band, and one I can’t say really fits any definition. Windshield is my favorite track on the album, it’s so interesting. The drums, bass and guitar all work so well together. The more complex the song becomes, the more complex all the pieces are. The vocal backups on this song are so good, they contrast their harshness against the melodies. Their lyrics are all available on their bandcamp site, they are really worth reading along with. It also gives you no excuse to not sing along, with an album release this catchy I’m sure people will even without the words. I’m really excited about this band, and can’t wait to see more from them.